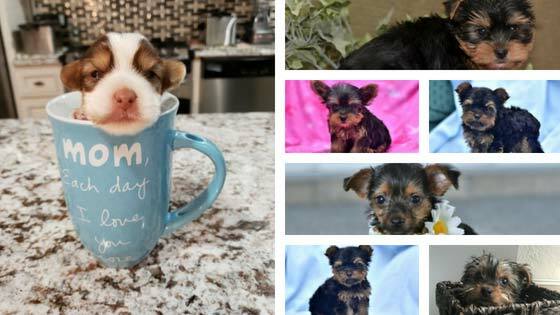 Small dogs are cute especially when some of these pups are roughly the size of a cup. Upon seeing a tiny dog, people may remark they don’t believe the dog is real which strikes up an interesting conversation. Some will assume the dog is a toy, and in a way, they are right. The smallest dog breeds are part of the toy group. The term “toy group” is used by kennel clubs to define a set of dog breeds that are small or very small. Some people refer to these dogs as “teacup dog breeds” but the American Kennel Club doesn’t register or endorse teacup dogs. According to Google Trends, interest in small dogs has been rising steadily during the past 15 years. Miniature dog breeds are great for urban areas because they don’t need much space inside or out. If you’re someone who allows dogs on your bed or couch, small dog breeds won’t hog the space. These companion dogs are easier to bathe than larger dogs, too, because they’re compact and lightweight. In fact, the smallest dog in the toy group, the Chihuahua, may only grow to 6 pounds and stand 5 to 8 inches high. Small dogs are loyal and intelligent companions that tend to live longer than dogs with more mass. Small breeds may live up to 12 to 14 years whereas larger breeds may live 8 to 10 years. It’s been estimated by German scientists at the University of Gottingen, that for every 4.4 pounds of mass a dog has it may reduce the dog’s life by a month. Scientists aren’t sure why. Many people long for small dogs that don’t shed because they want a hypoallergetic pet that won’t trigger allergies. It’s important to know that no canine is 100% hypoallergetic but dogs like Yorkshire Terriers, Shih Tzus, Bichons Frises, Lhasa Apsos, Schnauzers, and Kerry Blue Terriers shed less and have a coat that retains loose hair. These are good choices for allergy sufferers. That said, all dogs produce dander and have proteins in their saliva that can irritate people with allergies. Chemically fur and hair are indistinguishable. They have the same chemical composition. Fur and hair are both made of keratin. Keratins are proteins made up of amino acids and polymers. The main difference between hair and fur is what it grows on. Hair typically refers to mammals, and fur is typically the term for non-human mammals. Often fur tends to grow to a certain length and then stop and it’s synchronized with weather conditions. It’s often short and course. Hair, on the other hand, grows independently and doesn’t stop growing. It’s usually softer and longer than fur. Ultimately, many people love small dogs because they are easy to cuddle, walk, and carry. Papillons, Toy Poodles, Pomeranians, Yorkshire Terriers, and Chihuahuas are the smallest dogs in the toy group. See how they stack up compared to one another. Papillons are hardy little dogs that grow to 3.6 to 4.5 kg or 7.9 pounds to 9.9 pounds and are 8 to 11 inches tall from the withers to the floor. The name Papillon is French for “butterfly eared” and the dog gets the name from the trademark long, fringed hair that comes from the ears. It’s said to look like butterfly wings. When the ears drop, the dogs are called Phalène, which is French for “moth eared.” Both Phalènes and Papillons can come from the same litter. Often Phalènes are not bred with Papillons because the offspring can have one erect ear and one that is dropped. These happy dogs aren’t always ready to cuddle (through historically they were used as lapdogs during the 13th century). They are, however, friendly, affectionate, and kissy. Paps are known to be intelligent and eager-to-please so they can learn tricks quickly. They rank up near Poodles in intelligence. These dogs are often heralded for their athletic and spirited nature which is favorited by competitive agility and obedience trainers. Because of their diminutive size Paps often do well in homes with adults. They are fragile; their delicate nature doesn’t always mesh well with children. Often, Paps will bark until you give them treats. Many have been known to lay at the feet of their masters and loyally follow them wherever they go. Many love belly rubs and will lay on a pillow next to its owner or spoon with him while sleeping. Some Paps are more independent than others. Papillons are great ratters but they’re too small to kill the rascal outright. Instead they often bait the rat and tease it until the varmint grows tired. Then the dog kills it. Paps aren’t the kind of dogs that need coddling in hot or cold weather, but they also shouldn’t be left outside unattended in winter, either. Papillons can be yappy but they’re not prone to excessive barking. Paps will vocalize in apartments when they hear noise from neighbors. It takes these dogs a bit to get used to strangers. The Butterfly Dog will also bark if it gets Separation Anxiety. Overall, this toy spaniel is a favorite of many who meet him. He is a healthy small dog that experiences few concerns. The most notable are luxated patella, anesthesia sensitivity, Progressive Retinal Atrophy (PRA), and Fontanel. Poodles were first called Pudelhunds, a German word that translates to “puddle dog.” They are sometimes called Caniches, too, because these dogs were once used as a water retriever for duck hunting. Caniche comes from the word “cane” which is a female duck. Poodles come in Standard, Miniature, and Toy. The Toy version has reportedly been used for truffle hunting because these light-weight dogs won’t crush delicate fungi with their feet. Often Poodles are bred for companionship over hunting abilities. This active, intelligent, and elegant dog is well proportioned and squarely built. The smallest Toy Poodles grow to 6 to 7 kg or 13 pounds to 15.4 pounds and are no more than 10 inches tall. Poodles are covered in a single coat of dense, curly hair that doesn’t shed much. These dogs are less likely to trigger allergies than other breeds. If you’re looking for a small breed that doesn’t shed much, a Toy Poodle can be an excellent option. Much like the Papillion’s fur doesn’t fall off the dog but rather becomes tangled in the surrounding fur, a Poodle’s hair coat behaves the same way. Toy Poodles release fur and dander but they’re less likely to trigger allergies than other breeds. Poodles need trimmed every 4 to 6 weeks and trimming the coat helps these dogs swim. Certain areas of the Poodle are shaved but the legs stay hairy. This protects the dog from debris in water. Hair is also left on areas that cover vital organs. This keeps the internal organs warm. The small, cuddly Toy Poodle is one of the most affectionate breeds and is extremely intelligent. With firm, consistent training and frequent exercise, the Toy Poodle is one of the most trainable breeds. These social and energetic dogs have provided companionship and affection to families for many years. Best of all, this popular dog breed is generally healthy and may live up to 18 years. 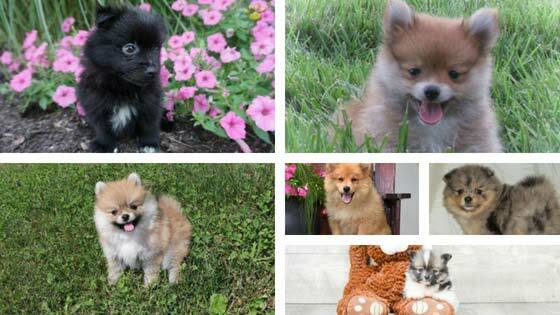 Hailing from the Duchy of Pomerania (where present-day Germany and Poland are located) the Pomeranian is a 1.9 to 3.5 kg or 4.1 pounds to 7.7-pound dog that and stands 6 to 7-inch-high. 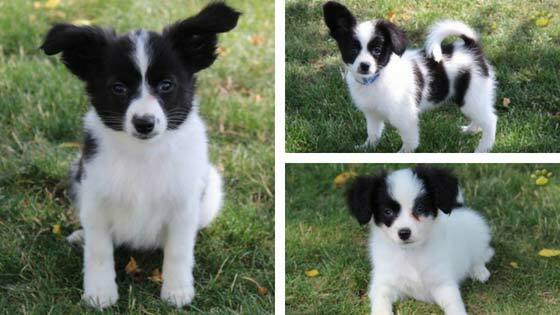 These small dogs are covered in a textured coat with a plumed tail that sits high and flat. These companion dogs have a thick double coat that comes in more colors than any other dog breed including orange, black, cream, white, brindle, brown and tan, spotted, black and brown, blue, sable, red, blue, brown, and white. The double coat consists of a short hair undercoat beneath a longer, bushy topcoat. The fur is extra bushy on the shoulders, neck, and chest. It’s recommended to brush the dog daily to twice weekly. Poms don’t require excessive grooming, but they are seasonal shedders. Some owners will give Poms a sanitary shave around the rear end. This keeps the fur clean when the dog defecates. Still, these dogs don’t shed as much as the amount of fur would imply. These affectionate small dogs are happy, playful, and lively and are known to bark when there is a change in the environment. PomPoms have various nicknames like Tumbleweeds, Zwers, Zwergspitz, and Deutscher Spitz. It’s believed these dogs descended from larger Spitz dogs. Little dog lovers admire the Yorkshire Terrier or Yorkie as it is sometimes called. These pint-sized dogs weigh 1.3 to 3.2 kg or 2.8 pounds to 7 pounds and stand 7 to 8 inches at the withers. This popular companion dog was developed to catch rats in cotton and woolen mills in 19th century Yorkshire, England. Back then workers from Scotland came to Lancashire and Yorkshire, England for work. They brought small terriers with them and any terrier that had a long coat, docked tail, trimmed ears, a blue body and silver or fawn head and legs was dubbed a Yorkshire Terrier. It's interesting to note that Yorkies don’t shed. If not groomed, these dogs will keep growing hair and it can grow to more than two feet in length. Often show dogs have a long coat, but many owners keep their Yorkies trimmed down to a puppy cut. Many consider Huddersfield Ben, a Yorkshire Terrier, to be the father of the breed. He was an 11-pound dog show competitor ad ratting champion that yielded many puppies. Most Yorkies today are from Ben’s lineage. Nowadays, Yorkies are affectionate dogs that bark, and they also make an interesting noise. It’s called a reverse sneeze or a pharyngeal gag reflex. It sounds a bit like a goose because the dog gasps for air. The noise is harmless, however. It’s just a sneeze. 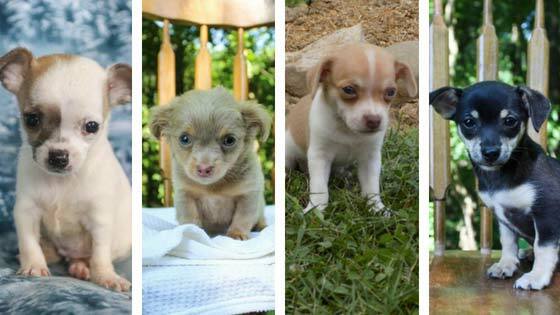 The smallest dog hails from Mexico and weighs 0.9 to 2.7 kg or 1.9 pounds to 6 pounds. It stands 5-8 inches tall at the withers and was bred to be a companion dog. It’s the itty-bitty Chihuahua or Chi as it is sometimes called. The smallest dog in the world, according to the 2014 issue of the Guinness Book of World Records was a 2-pound Chi named Miracle Milly, or Milly for short, that stood 3.8 inches tall at the withers. It’s been theorized that Chihuahuas came from the Techichi, a small-framed dog which was domesticated by pre-Columbian Mesoamerican people like the Maya and the Toltec. It’s also been theorized that Chihuahuas were a cross between the Techichi and the Chinese Crested. Still others believe Chihuahuas are linked to a mostly hairless dog, the Xoloitzcuintli (Xolo) which hails from Mexico and has roamed there for thousands of years. Chihuahuas come in many colors like white, black, and tan and may be marked, spotted or splashed. Chis have either a smooth coat or long coat. Smooth coat Chihuahuas feel whiskery or velvety. Long haired Chis feel even smoother in part because of the dog’s guard hairs and silky undercoat which also gives them a fluffy appearance. Ironically, long haired Chihuahuas shed less than short haired Chis and don’t need to be trimmed. Their thin coat causes these dogs to get cold easily and they may shiver. Chis’ heads come in two forms as well: apple heads and deer heads. Apple head Chihuahuas have close set bulging eyes, a round skull, and short legs and erect ears. Deer head Chis have a flat-top head, large erect ears, slender legs and wide-set eyes. 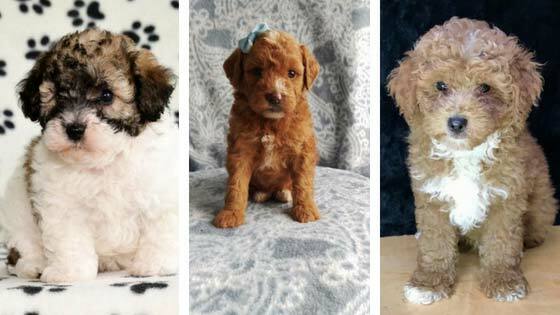 Active and intelligent, many of these toy dogs are gentle family companions that somehow convinced people that they should be carried everywhere. When they’re not being carried, Chihuahuas will often burrow in blankets, pillows and hampers or will lay in the sunshine. Most are affectionate and prefer cuddling close and often do quite well in homes with other Chihuahuas because they have a clannish nature. Expect them to be part of your clan for a long time. Chihuahuas may live 15 to 20 years. In the end, if you want to add a small dog to your home, consider the Papillon, Toy Poodle, Pomeranian, Yorkshire Terrier, and Chihuahua are solid choices.